Home » Panda Updates » Is Google Update Algorithm on 5 December 2012? 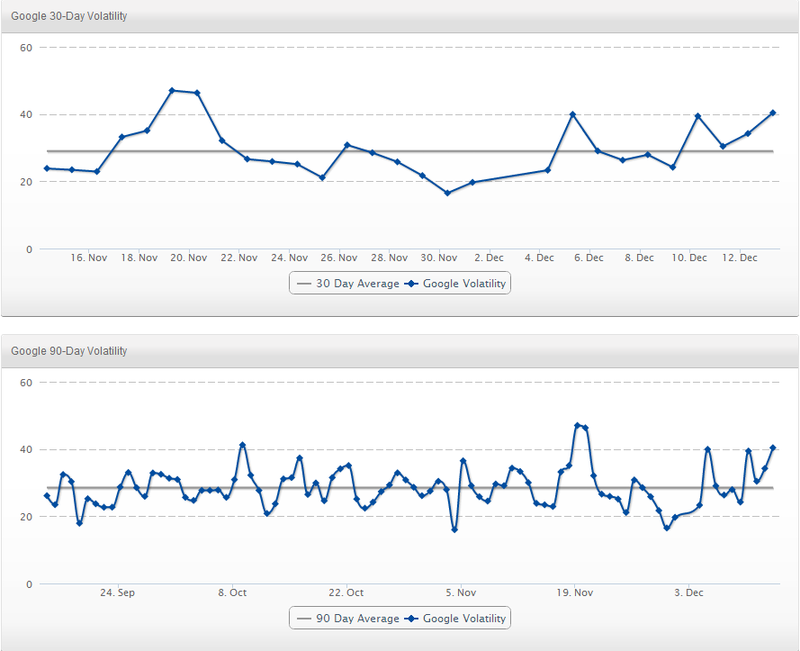 Is Google Update Algorithm on 5 December 2012? Was There A Google Algorithm Update A Few Days Ago? Have anyone checked a significant decrease or increase in their website Traffic? If Yes or No then, the cruel Google update will soon explode the bloggers and webmaster owner’s brains. 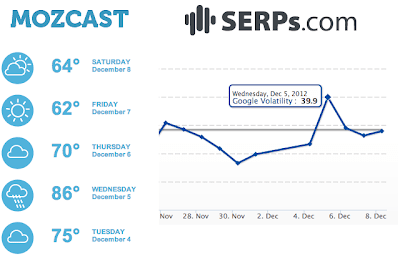 Both Mozcast and SERPS.com reported pretty large variations on Wednesday, December 5th 2012. When we see on other coin side, there is no fact of these variations until we observed a significant increase or decrease in our traffic. It’s rather clear that Google is doing suspicious Activity once again because everyone knows that this is not first time, Google had been changed algorithm more than 500 time per year. When I got the news about once again Google update the algorithm then I checked the WebmasterWorld the following morning but on that it was temporarily offline and due to that, the conversation of a possible update was very minimum to none. Since one year, I am using Mozcast and SERPS.com; they are two giants who report daily about search engine traffic variation. On 5th December 2012, I have reviewed these two sites they provide the similar statistic and which are given below as a screenshot. Again -37% less traffic today. I have never seen this useless serps ever. Though in summer was bad. 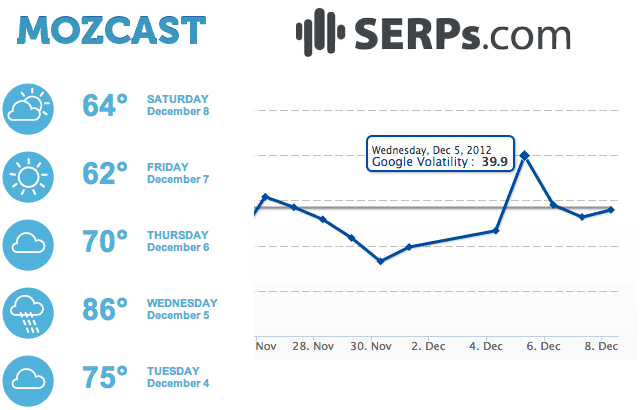 But this is top of all bad serps, beginning 27/11. Sites with no content, ebay affiliates, amazon affiliates all over. small ecoms are totaly gone. Did anybody observe an update late last week? Should I call Google asking them about this one?